Thanks to the on-board computers, our customers are notified about delivery status faster and more accurately. 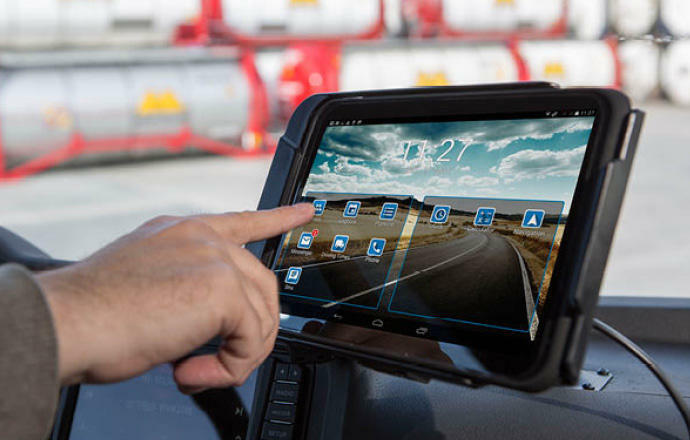 With Trimble’s FleetXPS mobile computers, photos can be taken of the loads and freight documents can be processed using the scanner function. “This is useful in case of potential issues. If something is wrong with the load, we can inform our customers immediately. 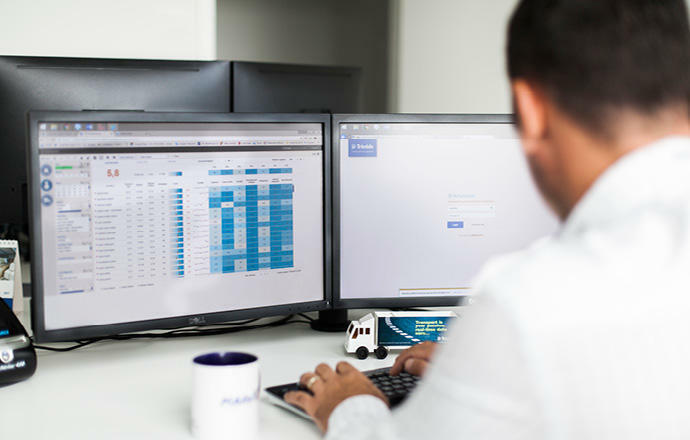 In addition, the Trimble solution is integrated with our transportation planning software from ORTEC and the ERP system from Microsoft Dynamics. This enables a faster way of working. The customer follows the status of the consignment and receives the documents immediately. And we save a lot of processing time afterwards,” said Kamphuis. Trimble on-board computers provide us with a stable solution that we can count on for our operations. Amerongen Kamphuis, located in Barneveld, is a major player in the field of groupage consignments of refrigerated foodstuffs. The logistics service provider daily deploys 130 vehicles, especially in the Benelux, Germany, Austria, Switzerland, Italy, the Czech Republic, Hungary and Scandinavia. In the Benelux, Germany, Austria, Switzerland, Italy, the Czech Republic, Hungary and Scandinavia.